Greek comedy was performed as a form of theatre with great influence, throughout out the 6th century BCE, across the ancient Greece. The most famous playwrights of the genre were Aristophanes and Menander and their works, which poked fun at politicians, philosophers, and fellow artists just like how comedy is now days. 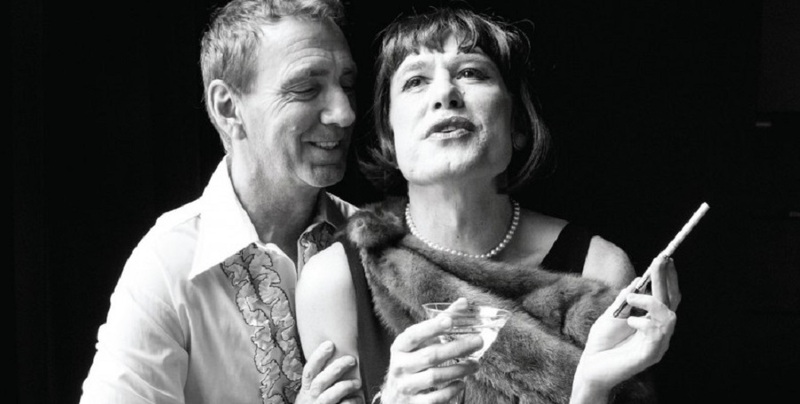 The comedy play followed a conventional structure. The first part was the parados, where the Chorus of as many as 24 performers entered and performed a number of song and dance routines. The second phase of the show was the agon which was often a verbal contest or debate between the principal actors with fantastical plot elements and the fast changing of scenes which may have included some improvisation. Together, Greek comedy and Greek Tragedy will become the foundation of what the modern day theatre is based upon. A jester, court jester or fool was historically an entertainer during the medieval era who was a member of the household of a nobleman employed to entertain him and his guests. During the medieval times, the jesters were given a power that no other person in the kingdom was granted: the power to openly mock any noble he saw fit, even the King or Queen. So long as it was done in a jesting manner, a jester could get away with poking fun at any of the nobles shortcomings. As mentioned before, this aspect of mocking is also commonly found in modern day comedy. During the 11th century in England, a new trait of vital comedy emerged. The tradition of the interlude, developed by John Heywood and others, blended with that of Latin classic comedy, eventually producing the great Elizabethan comedy, which reached its highest expression in the plays of Shakespeare and Ben Jonson. Shakespeare, whose comedies ranged from the farcical to the tragicomic, was the master of the romantic comedy, while Jonson, whose drama was strongly influenced by classical tenets, wrote caustic, rich satire. In 17th-century France, the classical influence was combined with that of the commedia dell’arte in the drama of Molière, one of the greatest comic and satiric writers in the history of the theatre. This combination is also presented in the plays of the Italian Carlo Goldoni. After a period of suppression during the Puritan Revolution, the English comic drama reemerged with the witty, frequently licentious, consciously artificial comedy of manners of Etherege,Wycherley, Congreve, and others. A melodrama is a dramatic or literary work in which the plot, which is typically sensational and designed to appeal strongly to the emotions, takes precedence over detailed characterisation. It is considerably a new genre of drama since it has only been around in the 1770s. Melodrama takes a normal, everyday situation and throw in absurd twists – fake murders, bizarre disorders, ridiculous betrayals, ludicrous love stories, the list goes on and on – all of which conspire to render the normal abnormal in a fun and relatable way. A circus is a company of performers that may include clowns, acrobats, trained animals, trapeze acts, musicians, hoopers, tightrope walkers, jugglers, unicyclists and other object manipulation and stunt-oriented artists. Welfare State International create some of the biggest and strangest and most radical theatre of the 1970s and 80s, greatly inspired during the latter stages by their loathing of Thatcherite policies and values. Founded by John Fox and Sue Gill, Roger Coleman and others, WSI thrives through the decades as an ever-changing, multidisciplinary band of artists. Cinematic comedy is one of the oldest film genre and one of the most popular. Comedy was ideal for the early silent films, as it was dependent on visual action and physical humor rather than sound. A good example of this is slapstick. It is one of the earliest forms of comedy, poked fun at farcical situations of physical humours events. One of the most iconic early- day silent film comedian is Charlie Chaplin. He represents the comedy of the 19th century. His work “the Tramp” and is considered one of the most important figures in the history of the film industry. James Blake Wiener. 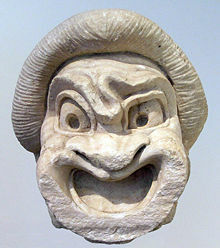 “Greek Comedy.” Ancient History Encyclopedia. Jan Van Der Crabben, 24 Mar. 2013. Web. 09 May 2016. Troy Depue. “Medieval Jester; More than Just a Fool.” Examiner.com, 04 Apr. 2012. Web. 09 May 2016. “Timeline of Comedy.” Infoplease. The Columbia Electronic Encyclopedia,, n.d. Web. 09 May 2016. Charlie Holland. “Circus Timeline.” Circus Timeline. Arts Concil England, n.d. Web. 09 May 2016. JESSE DAVID FOX. “The 100 Jokes That Shaped Modern Comedy.” Vulture. Giacomo Gambineri, 31 Jan. 2016. Web. 09 May 2016. Dirks, Tim. “Comedy Films.” Comedy Films. filmside.org, AMCtv.com, Web. 09 May 2016.